Anyone who knows me knows that I’m a real geek when it comes to productivity, time management, etc. I love the idea of tweaking schedules, hacking my life, getting more done, etc. So, you can imagine how excited I was to be approached and asked to read an advance copy of Michael Hyatt’s new book, Free To Focus. I love Michael Hyatt. I’ve read most of his books and was excited to get a copy of Free To Focus when it released. I also listen to his Lead To Win podcast which he co-hosts with his daughter, and I have one of his Full Focus Planners. You could say I’m a little bit of a Michael Hyatt junkie, I guess, but that’s because I find the information he shares to be valuable and practical. I’ll write more about this book as I work my way through it. I’m around 25% of the way through right now and so far I’m really enjoying it. I’m also at a stage where I feel as if I’m approaching burn out. Since January 2018, I’m written and published 13 books (I think, I’ve lost count), while working a fairly intense day job and raising a family. I’ve done that with lots of early mornings and a lot of chatter in my head because there’s always something else to be doing. Whenever I’ve had some free time alone, my first thought has been to fill it with working, and that’s fine for a while but it’s not what I want to continue doing long term. This book has arrived at the perfect time for me to consider what I should be saying yes to, what I should be saying no to, and how to maximise my productivity. 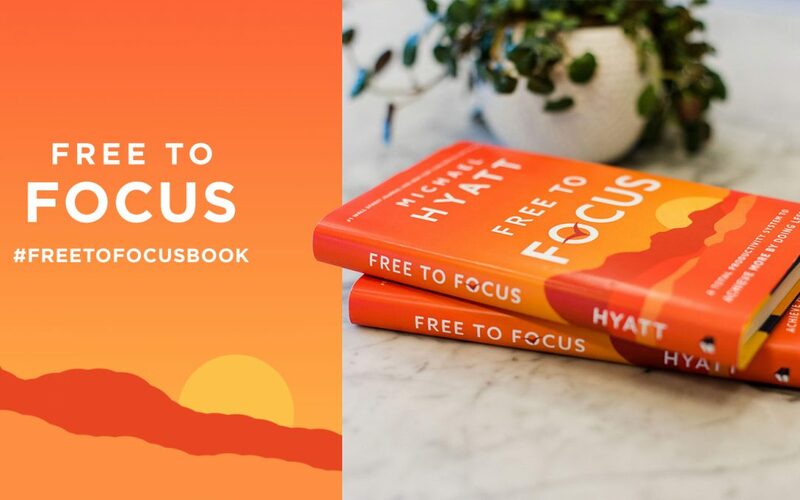 You can check out Free to Focus on Amazon now.